Although they had a standard three-year warranty, some models purchased in 2010 carried a five-year warranty under a special promotion that was offered at the time. How to monitor your inverter’s performance. Latronics inverters are grey in colour. On the face of the unit there are four lights on the left and a display screen and DC breaker on the right. This small screen is used to monitor your inverter’s performance by displaying an accumulative total in kWh. Cause: Possible fault in internal DC breaker or fuses blown. Cause: Possible issue with the solar supply main switch in the meter box. Issue: Under producing e.g only outputting 25% even in the middle of summer. Cause: Potentially fuses blown on the roof. Faulty Latronics inverters that are within their warranty period can be replaced. However you should note that you will only be covered for the cost of the unit itself. Any additional labour costs to remove the original inverter and install the replacement inverter are not covered. If you need help removing the faulty inverter and sending it back to the manufacturer as part of a warranty claim, contact us to organise an inverter health check (metropolitan single story house) and we’ll take care of it. What if I’m no longer covered by warranty? If the warranty period on your Latronics inverter has expired, we recommend you contact us to organise an inverter health check. One of our experienced technicians will identify and attempt to fix any faults and replace any fuses that have blown at no extra charge. If your DC circuit breaker needs replacing we can do that too, at an additional cost. 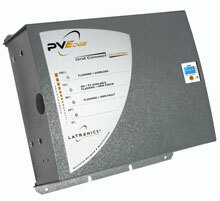 If your inverter is beyond repair, we also offer refurbished Latronics inverters that come with a 12 month warranty. 1.2 kW and 2.5 kW models are available. Otherwise, you can choose a new Latronics inverter which comes with a three-year warranty (1.2 kW and 2.5 kW models available). Your feed-in tariff may be affected if you change the inverter capacity. You may need to pay additional labour fees to re-wire your panels from a parallel set-up to be in series. The longer your inverter remains faulty, the more it is costing you money. We can fix it for you and have your system functioning properly again in no time. Simply give us a call on 1300 496 278 or visit our website to book your inverter health check.